Coqui the Chef: Los Tres Reyes Magos--Feliz Dia de los Reyes! 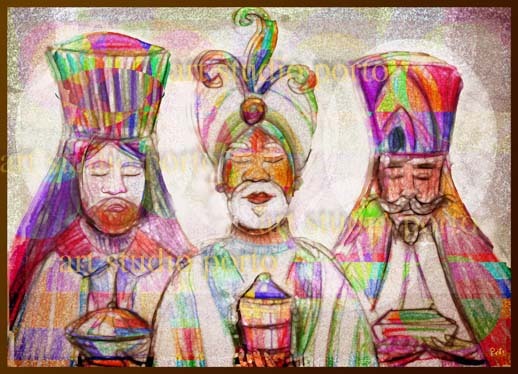 Los Tres Reyes Magos--Feliz Dia de los Reyes! If you are Puerto Rican then you probably celebrate "El Dia de los Reyes". After Christmas they put a Reyes statue as a centerpiece on dinning room table so the family remembers - the holidays are not over yet "todavia faltan los Reyes." Los Reyes arrive before dawn on January 6th. For centuries Puerto Rican children have celebrated Los Reyes in the same manner as their grandparents did when they were children. January 6 is called Epiphany and is traditionally the day in which the Magi arrived bearing gifts for the Christ child. Even to this day in Hispanic countries throughout the world, January 6 is the day that children receive their Christmas gifts, in commemoration of the Magi's visit. 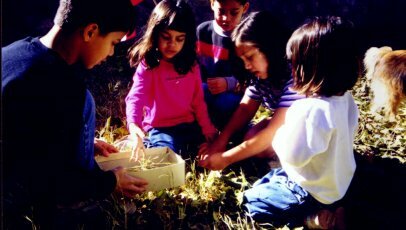 On La Víspera de Reyes (the Eve of Three Kings Day) Puerto Rican children cut grass to put in a shoe box under their bed for the camels to eat. Their "wish list" is placed on top of the grass. Grandparents, aunts, uncles and friends ask children to put a box under their bed too - just in case. The Reyes only come if the child has been good all year and if the children are awake they bypass the house. On this night children sleep lightly listening for any strange noises, whispers, or maybe sounds of the camels' hooves, or any tale-tale signs of the Kings' arrival. Sometime during the night Los Reyes arrive and quietly leave their gifts for the children while their camels enjoy their snack. In the morning the island is filled with the joy and the laughter of happy children enjoying their new bikes, skates, dolls, and other toys. It is a joyful day full of celebration. Later in the day a holiday dinner is prepared and friends and relatives join in the festivities. Relatives bring the children the boxes left under their beds now empty of grass but filled with gifts. What fun!